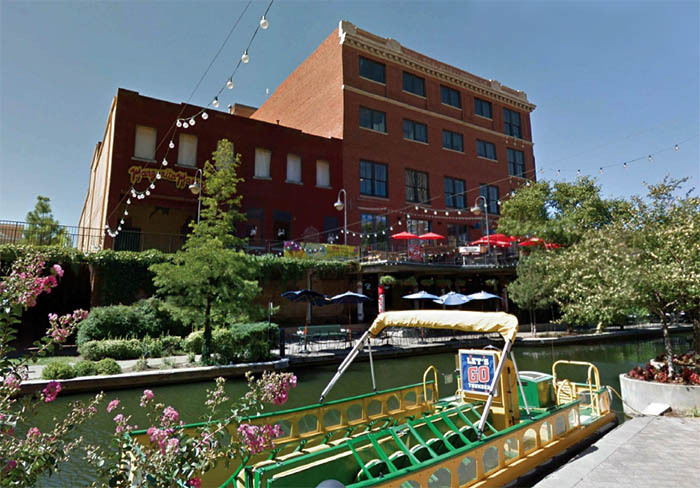 After bold plans by Falls Events Center seem to have fallen through, the building they purchased at 108 E. California on the Bricktown Canal has fallen into foreclosure. The prominent building had been vacant for quite some time when the Utah-based event facility operator purchased it in early 2017 for $2.125 million. 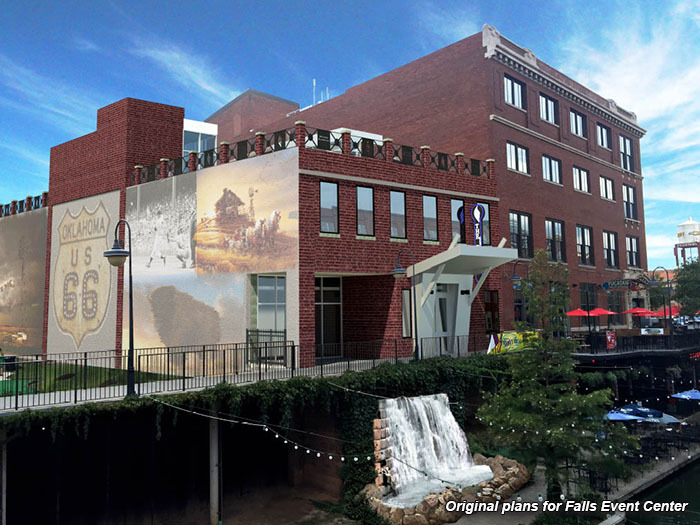 The Falls then presented ambitious $10 million design plans to the Bricktown Urban Design Committee that stalled after commissioners balked at an elaborate waterfall planned for the canal level, then completely stopped as the company and its CEO found itself in legal troubles. In March, the previous owner Gary Cotton filed a foreclosure action against The Falls for non-payment for the months of November, December and January. Court records show Cotton took back a $1.72 million promissory note when he sold the property. The suit filed by Cotton is attempting to collect $1,708,072.68 and regain full ownership of the property he had first purchased in 2004. 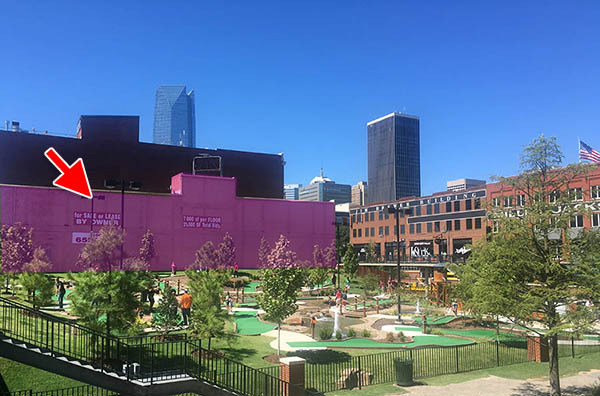 In December, Falls general manager John Neubaurer told the Oklahoman that the Oklahoma City project was on hold but that he expected “to be in a position where we can get back up and start up all projects”. However, at the time of that interview The Falls had already missed 2 mortgage payments and proceeded to miss the next several owed to Cotton. Also, the Bricktown property is currently listed for sale for $2.577 million by a Utah broker who is also attempting to sell at least 10 other properties owned by The Falls. Meanwhile, the legal troubles for The Falls and their CEO Steve Down continue, with reports of missed payments at other businesses while Downs continues to defend allegations about various business dealings which include SEC investigations and claims of Ponzi schemes.